Stone aggregates are widely used in hydraulic engineering construction, and the application of cone crusher not only enhances the production efficiency, but also ensures the stone quality. The production process is stable. 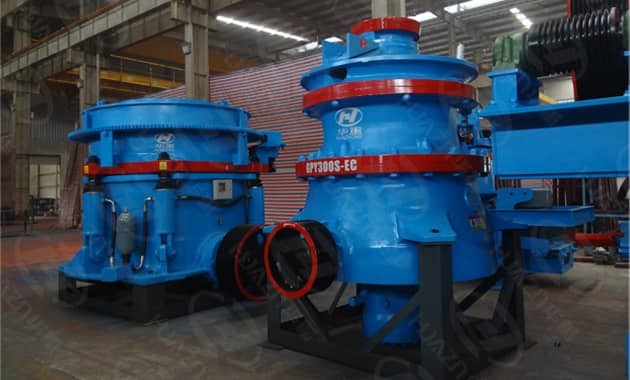 Cone crusher is divided into short-head type and standard-head type. Short-head type is mainly used for the fine crushing, and the standard-head is used for the medium crushing. Sine cone crusher has many types of crushing cavity, it is applied for the crushing of various kinds of stones, which is also the key equipment in semi-dry sand making process in hydraulic engineering project. 5. The optimized crushing cavity reduces the needle - like content.